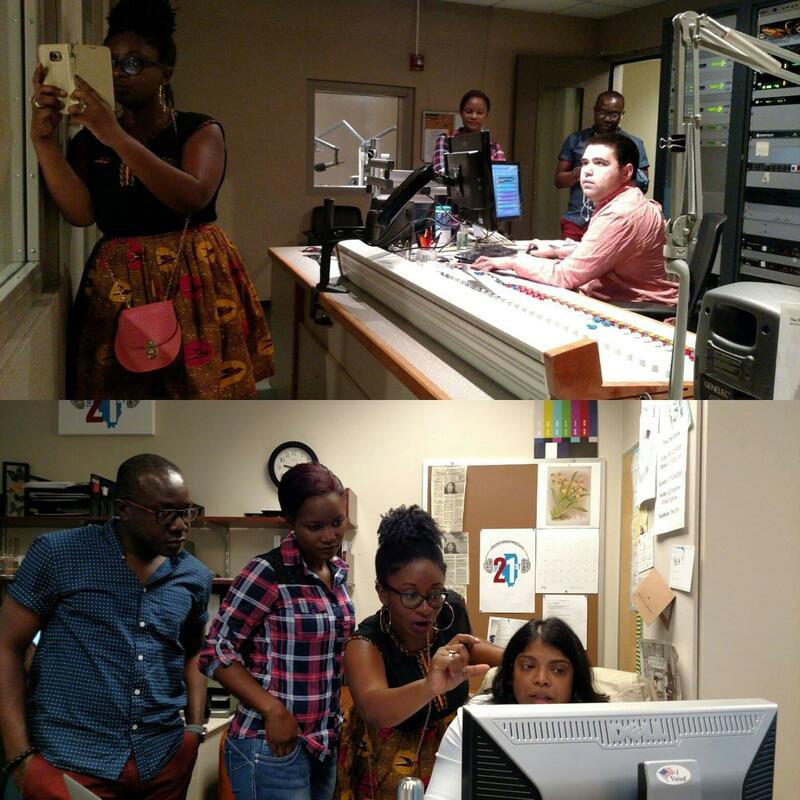 Participants in the “Mandela Washington Fellowship for Young African Leaders” spending time at the WILL radio studios. A group of 25 young adults from Sub-Saharan Africa have spent the last six weeks at the University of Illinois Urbana campus. They took part in the “Mandela Washington Fellowship for Young African Leaders,” hosted by the Department of African-American Studies and the Cline Center for Democracy. Several members of the group are broadcast journalists, and they spent some time in peer workshops with the host of WILL’s daily talk show “The 21st,” Niala Boodhoo. Illinois Public Media’s Brian Moline spoke with two group participants, Nana Hanson and Nana Boakye, both from Ghana, about their experience at the U of I, and with Niala Boodhoo.